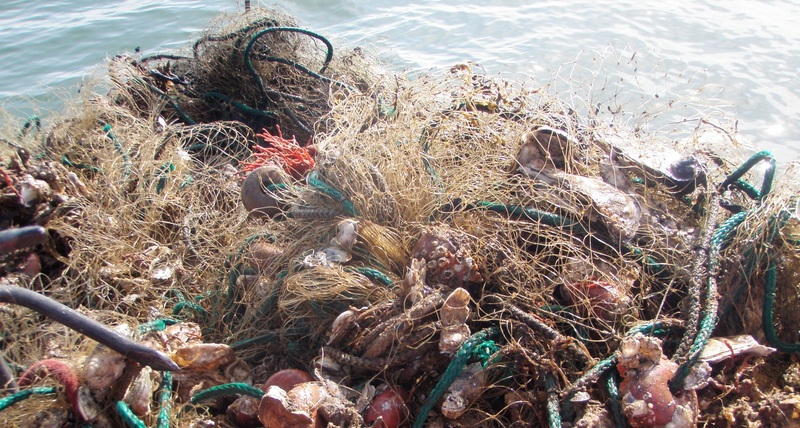 The accumulation and effects of derelict fishing gear is a worldwide problem and includes gear such as traps, pots, and nets. Once lost, derelict fishing gear can continue capture and kill both target and non-target animals (bycatch). In the Chesapeake Bay, the most common derelict fishing gear are crab pots which can be lost due to storms, interaction with vessels, vandalism, equipment failure, or abandonment.